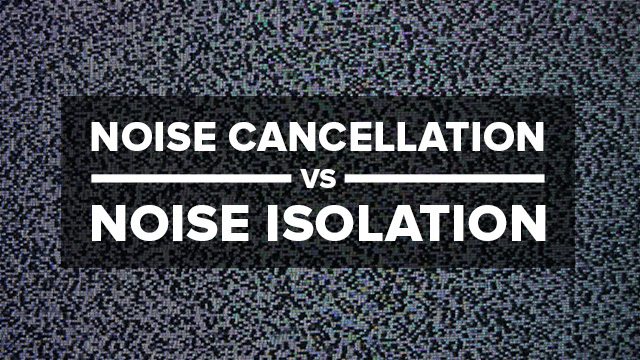 Noise cancellation VS Noise Isolation – What’s the difference? What the heck is NFC? Is high-quality audio over Bluetooth® possible? It’s easy to share your music, the Creative way! We know it can be confusing, so we’ve tried to clear things up for you. Noise cancellation takes an active approach to block out external noise. There are one or more microphones built into the headsets to detect external noise. By employing sophisticated electronic signal processing, an anti-noise signal is then generated to cancel out the external noise. In essence, this leaves only the desired music or soundtrack audible to the listener. With a pair of well-engineered noise-cancelling headset, you should hear your intended playback sans any background noise! Noise isolation does not make use of any power or electronics to block out surrounding noise. Rather, it employs the choice of optimum construction materials and an ergonomic design to block out as much noise as possible from entering the ear canal. Think of it as sound-proofing for your ears. For headsets, this can come in the form of soft and thick “memory foam” earcup padding that fits snuggly over your ears and keeps the noise out. For in-ear earphones, the eartips are ergonomically customized to fit securely in the ear canal. This effectively forms a sealed chamber within the ear canal and blocks out external noise significantly. The eartips can be made of various materials and in different sizes and shapes to suit almost everyone. Built-in microphones pick up this ambient noise signal and electronically produce an anti-noise signal that cancels out the noise. Passive system, making use of foam eartips to seal the ear canal.